EK-PLUG G1/4 Acetal – Black (10 pack) is a simple pack of ten black acetal G1/4″ plugs with o-rings. 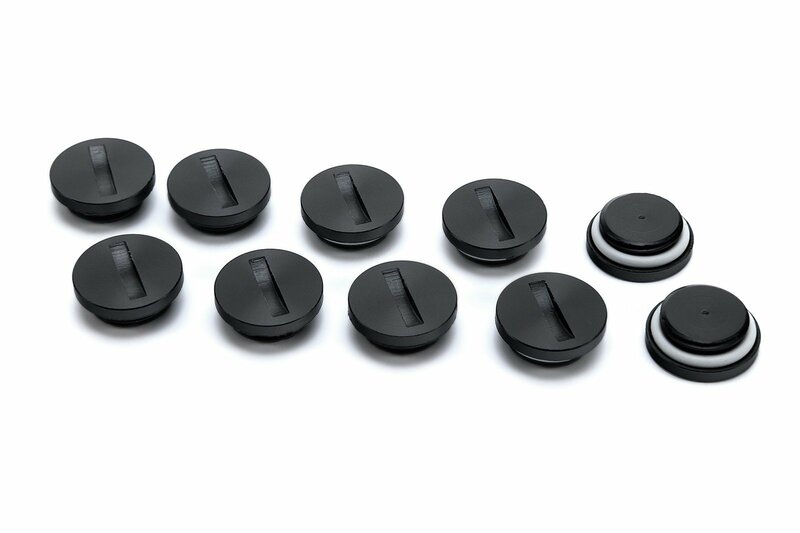 The plugs can be easily tightened with a one Euro coin or a similar sized coin. 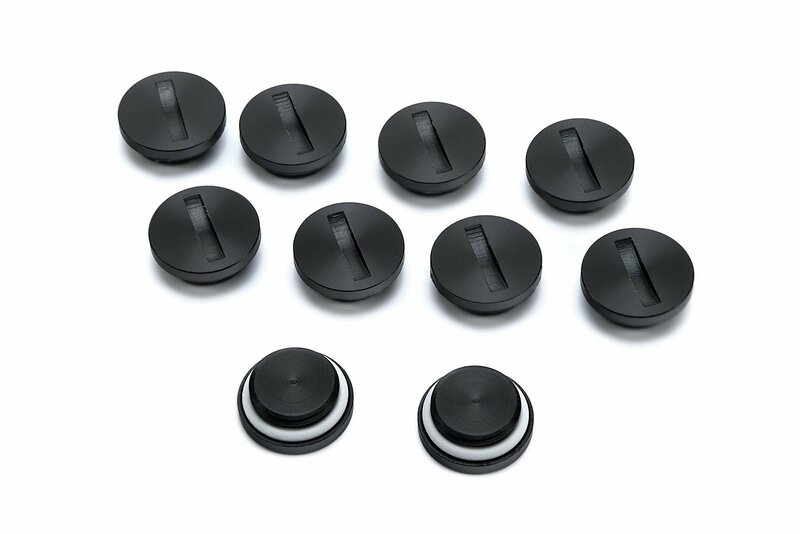 The set of plugs is useful to cap your liquid cooling hardware which you are storing for a longer period of time. 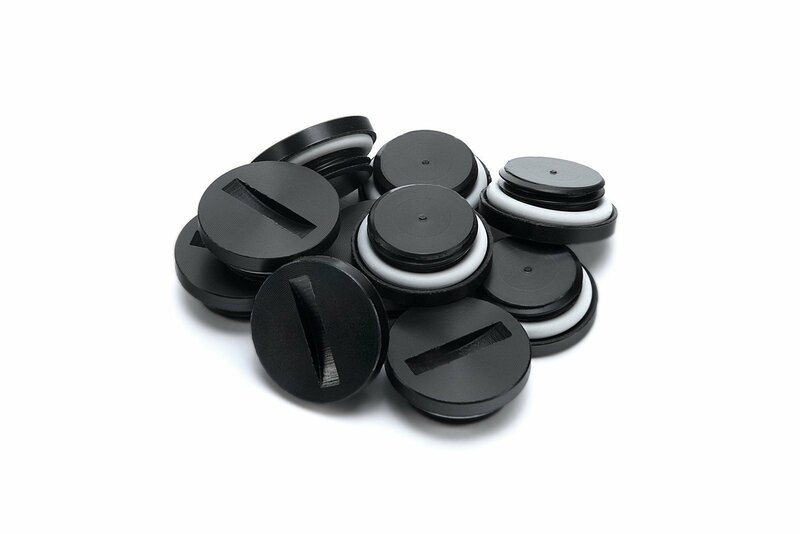 The simple acetal plug will prevent dust setting into your liquid cooling gear and since its an airtight plug, it will also prevent oxidation. This set can also be utilized to convert EK-RES X3 Series reservoirs (also X4), EK-D5 Series pump combo units and EK-DDC Series pump combo units to be compatible with EK Fluid Gaming aluminum parts, by swapping out the brass nickel plated plugs. Made from black CNC machined acetal. Sealed with quality o-rings.